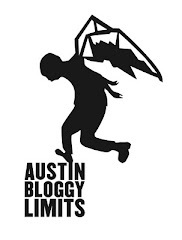 AustinBloggyLimits - An Austin Music Blog: Is Ra Ra Riot the new VW? It seems like only a minute ago that all the blogs were a buzz about Vampire Weekend but let's face it. These are internet times and Vampire Weekend's moment ended before summer even started. So who's the next band to receive the 30-second spotlight? It is with this thought in mind that I bring you, Ra Ra Riot. The band has already received the kiss of death that is the Rolling Stone Artists to Watch label. This should pretty much guarantee their bottle-rocket success story. Now don't be mislead you will enjoy the music of Ra Ra Riot, you may even see them in concert. You'll hear one of their songs on Gossip Girl or Grey's Anatomy, it will be in a car commercial, they'll play SNL but then their moment will be over and we'll be on to the next one. Let's enjoy the ride while it lasts shall we? It may seem from my tone above that I don't like Ra Ra Riot but that's not true. I think, their latest release, The Rhumb Line is def one of my favorite releases of the fall so far. It must be popular with lots of others too because when Ra Ra Riot plays here in Austin next month they'll be at Stubb's, which is a much bigger venue than the Mohawk where I first saw Vampire Weekend. Haha, upon further inspection of the Stubb's site I noticed that RRRiot are playing the Inside stage at Stubb's, making the whole thing MUCH less impressive...sorry RRR. This one sounds like the Talking Heads if you ask me.